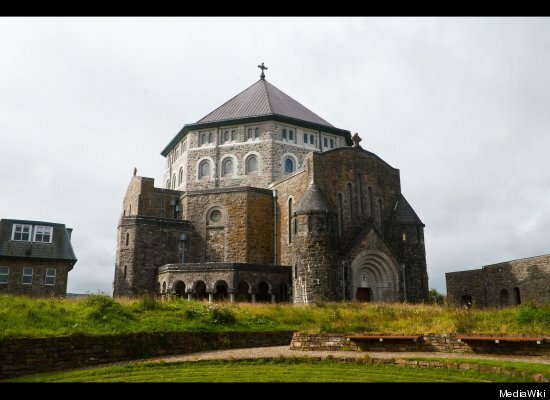 St. Patrick’s Purgatory – Station Island in Lough Derg, County Donegal, Ireland. “… A cursory reading of some of the popular medieval accounts of otherworld journeys […] reveals that Owen’s experiences in Saint Patrick’s Purgatory conformed to the conventions of a well-worn literary genre…”1 Before we can talk about the genre of the “journey to the other world”, however, it would be useful to discuss certain recurring “themes” and common narrative patterns that characterize the primary models that structure the Irish Eachtra; that is, adventure tales such as the Eachtra Connla, the Imram, or, even better, voluntary travels such as the one taken by Maeldúin, the Ua Chorra, prototype of the Christian Navigatio sancti Brendani, by Snedgus and by Mac Riagla, which were real and irrefutable visions. Among these we must include the versions of the monks Fursa, Laisrén and Adamnán and those of laymen such as Tundalo and the knight Owain right up to the Purgatory of Saint Patrick. While the ancient motif of the descent into Hell and the depiction of the “Other World” has received a great deal of scholarly attention, including its relationship to the Divine Comedy, in the Celtic tradition a visit to the other world, the “Tir Tairgire” or “Tír na nÓg”, was an integral part of the Eachtra or adventure tale and it is precisely within this tradition, which quickly become a Christian one, that the legend of the Purgatory of Saint Patrick was born, codified into three different Latin versions, representing “in some way the birth of literature about Purgatory”, even though the identification of a third intermediate realm between Heaven and Hell was already present at the time of the Greeks. Furthermore, Blochet had noted how the Purgatory of Saint Patrick offered certain points of commonality with the oriental legends of the Ascension: in particular with the Arda Viraf and the oriental vision of Hell.